Ready to plan vacation? 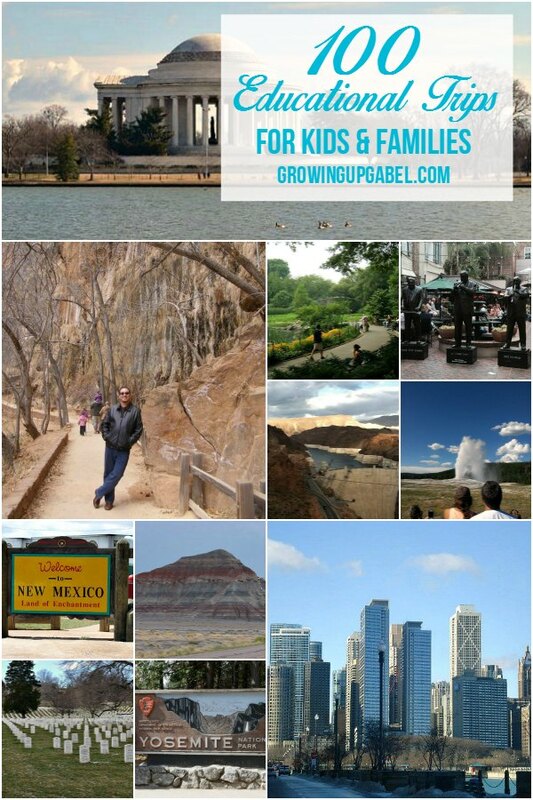 Make sure to include a few of these educational trips for kids on your family vacation this year. If you want to include some great educational trips for kids in your upcoming family vacation we have 100 amazing locations to consider. From great United States history, to local history, landmarks of the civil rights movements to beautiful places to see agricultural wonders this list is a wonderful resource. 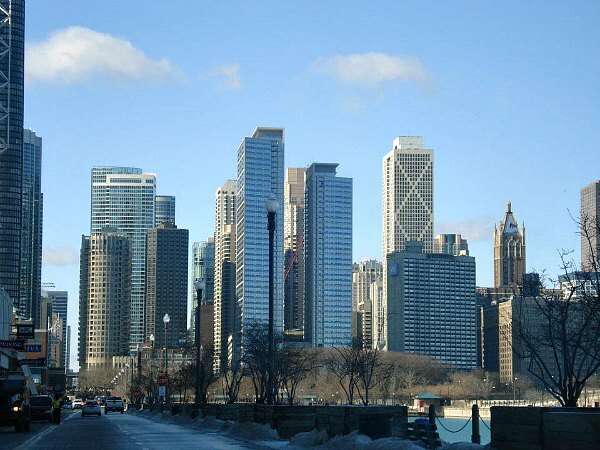 Chicago, Illinois – I grew up 4 hours from Chicago and it's one of my favorite cities for the history of the arts, this is the premier city to be for an educational travel destination. 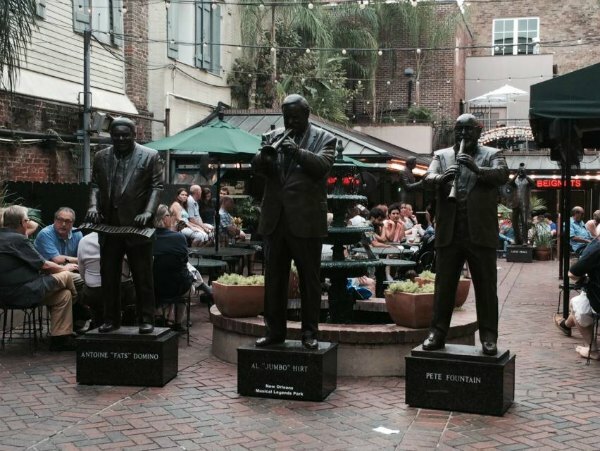 Museums, concerts, and history are at every corner. Indianapolis, Indiana – Take a spin around the world famous Indy 500 Speedway, visit the automobile racing museum or take a look at the NCAA Hall of Champions for great history of sports and entertainment. Cincinnati, Ohio – This city houses the Underground Railroad Museum that gives you everything you need to know about the slave movement in Civil War America. Cleveland, Ohio – If for not other reason, visiting the Rock & Roll Hall of Fame is a must when in the area. Sleeping Bear Dunes National Seashore, Michigan – I grew up in Michigan and the Sleeping Bear Dunes are one of my favorite places in the state. We took our kids there in 2012. 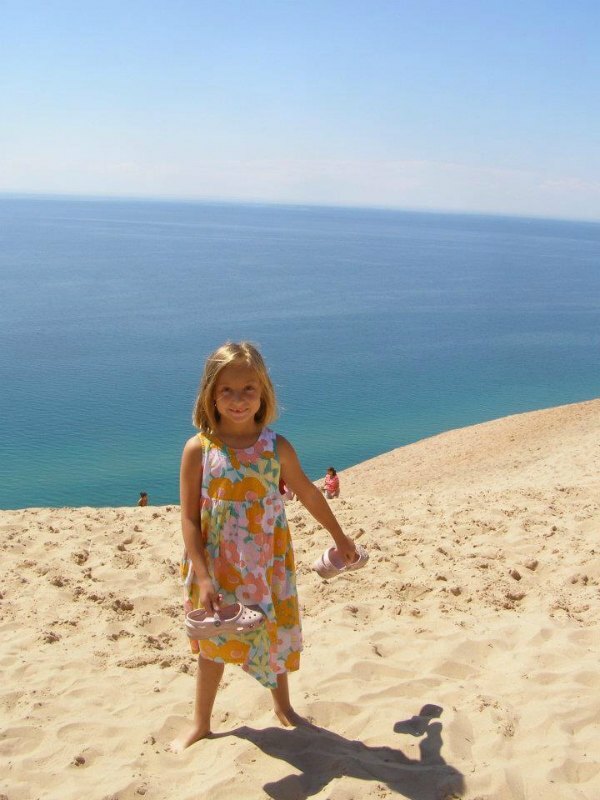 Unbelievable dunes like you've never seen before are the best place to explore, relax and just have fun together. Kalamazoo, Michigan – This is the home of some of the greatest displays of history in the aviation field. The Kalamazoo Air Zoo is a great stop. Detroit, Michigan – Home of the American automobile, this city has fallen on tough time bust still shows history and education regarding engineering and modern capitalism when you visit the Henry Ford Museum. Greenfield Village is a great place to learn about history, too. Ansted, West Virginia – Not only is there history of coal mining in the area, the nearby Kanawha Falls are breathtakingly beautiful. Wichita, Kansas – Home of the Kansas Underground Salt Museum, Wichita offers tons of great educational opportunities with museums, interactive play centers and near by Cosmosphere with NASA and space mission information and artifacts. Oklahoma City, Oklahoma – Home of the Oklahoma City Bombings of 1995, this is a modern day historical monument documenting the at home terrorist threat still alive. A great stop along the way toward more fun travel destinations. Hot Springs National Park, Arkansas – Visit a real classic bath house with hot spa treatments, dig for diamonds and even enjoy visiting the world famous Gangster Museum to see artifacts and learn history about the mob that lived there in the early 1900's. Crater of Diamonds State Park, Arkansas – One of the few places in North America where diamonds are discovered on a regular basis, this is a great location to visit and dig for your very own diamond. Little Rock, Arkansas – Visit the city that had the first segregated school and view the museum and location it happened. Mountain View, Arkansas – This quaint town is chock full of Ozark history. From the nearby Ozark Folk Center with great blacksmith shops, glass blowing and candle making to the Blanchard Springs Caverns to learn more about geology in the area this is an ideal destination. Huntsville, Alabama – The U.S. Space & Rocket Center is the location many schools take children for NASA astronaut training. A museum full of artifacts, information, interactive play and real live capsules from the Apollo missions is a great spot to learn. St. Louis, Missouri – Visit the world famous St. Louis Arch and learn more about the major city on the Mississippi that connected the East to the West. Louisville, Kentucky – Visit the home of Churchill Downs races, the Louisville Slugger Museum and many other area attractions that teach you more about modern day Americana. Mammoth Cave, Kentucky – This underground treasure features over 300 miles of tunnels and caves to explore. Learn about the region, how rocks and caves are created and see them up close and personal on a simple tour the family will enjoy. Kansas City, Missouri – Home of the historic Liberty Memorial, as well as the best BBQ in the Midwest. Joplin, Missouri – This city is a great place to pick up on the famous Route 66 and learn a ton of information about old school coal mining operations. Dodge City, Kansas – Visit this city famous for gun fights and criminal activity including Buffalo Bill, Billy the Kid and more! Orlando, Florida – Visit the Kennedy Space Center, The Holocaust Museum and more in this sunny and fun filled city. Key West, Florida – Visit the Ernest Hemingway House among other great location tourist destinations for a bit of an education and fun. Nashville, TN – Home of country music, and the historic Centennial Park with a replica of the Parthenon. 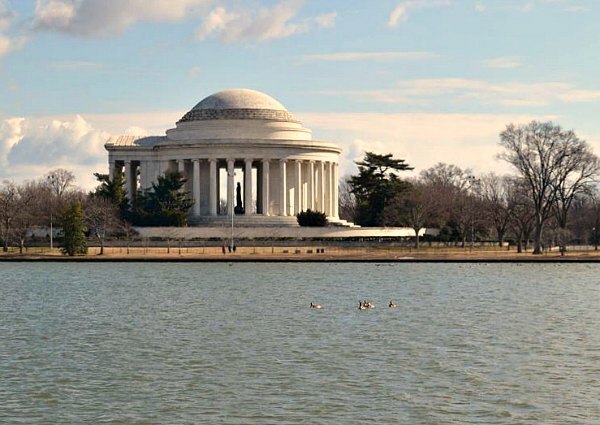 Washington D.C. – Our nations capital city has dozens of museums, monuments and opportunities to learn. The best part is that most of them are free! Williamsburg, Virginia – The home of Colonial Williamsburg, Civil War reenactments and many other early American historical landmarks. Jamestowne, Virginia – This historic city features landmarks ad shops that will keep you entertained while educating you on things of the past. Ocean City, Maryland – View white sandy beaches, stay nearby national monuments and landmarks and experience wild horses roaming the beach. Charleston, South Carolina – Aside from the rich Southern heritage in this city, it is most well known for the part it played in Civil War south and of course Fort Sumter. Huntington Beach, South Carolina – Learn the history behind the Huntington's and their quest to the South. Visit the park as well as adjacent Brookgreen Gardens with an amazing view of plantations and sculptures. Asheville, North Carolina – Full of Southern heritage an history, you can visit Great Smoky Mountains as well as the Chimney Rock State Park for history, or tool around the local nature and children's museum for general education. Atlanta, Georgia – From being the scene of many civil rights movement speeches, to hosting the Olympics, this location is great from both a historic and educational standpoint. Visit the Aquarium, CNN and Coca-Cola. Houston, Texas – Visit NASA headquarters, learn about various missions and see behind the scenes artifacts and information that can't be found elsewhere. Corpus Christi, Texas – This coastal beach city is great for sharing a love of marine and sea life with your kids. Tons of local area attractions are educational about the roles various animals play in the Eco-system. Dallas, TX – Visit Dealy Plaza where President John F. Kennedy was shot and killed. San Antonio, Texas – Visit the historic site of the Alamo then go shopping in the amazing boardwalk district. Glen Rose, Texas – This small town in Texas is close enough to the cities to be a day trip for the dinosaur enthusiast to visit their amazing museum housing fossils and artifacts at the Dinosaur Valley State Park. Austin, Texas – This city is rich in modern culture and the arts. While not necessarily educational by some standards, it is a great location with tons to do and learn from. 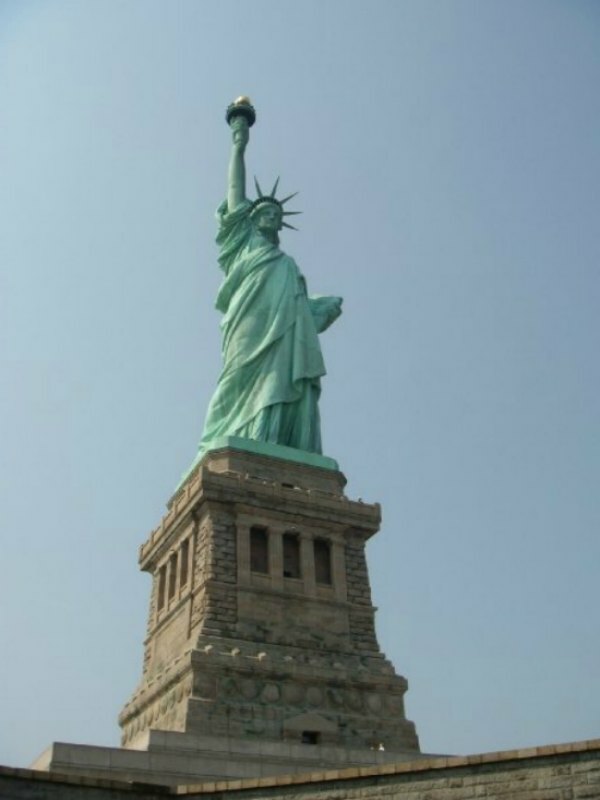 New York City – Visit Ellis Island, The Statue of Liberty, Central Park and the September 11th Memorial. Niagra Falls, New York – The wonder of the world is a great place to take the family to learn, visit and play. Cooperstown, New York – The home of the Baseball Hall Of Fame is a great place to learn the history of the game, but also all about the civil rights movement through sports. Corning, New York – Close enough to the big city to make a day trip, this city is a great place to visit local museums, see New York in a new light and learn about glass blowing which is a huge part of culture in the city. Rochester, New York – Visit The Strong Museum to learn the history of toys, games and more for a fun and super educational twist. Atlantic City, New Jersey – Known most for the fun gambling venues, this city also holds tons of national history with museums and landmarks. Boston, Massachusetts – Famous for the Boston Baked Bean and Boston Tea Party, this city is chock full of historical landmarks dating to the founding of our country. South Deerfield, Massachusetts – Home of Magic Wings Butterfly Conservatory & Gardens that is one of the largest butterfly observatories this is a great place to visit and learn more about these beautiful winged creatures. Philadelphia, Pennsylvania – The location of many historical events including the signing of the declaration of Independence. For fun, take time to visit the Crayola factory to see how crayons are made. Gettysburg, Pennsylvania – The historic location of the Gettysburg Address by President Abraham Lincoln holds much American history with landmarks and monuments. Hartford, Connecticut – Visit the Mark Twain home in Hartford to learn more about the renowned author. 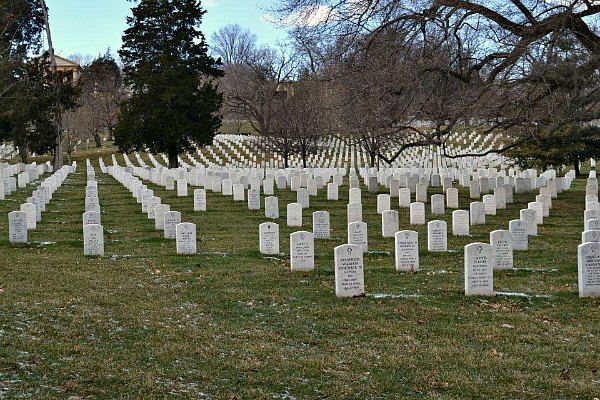 Arlington, Virginia – Home of the famous Arlington National Cemetery and in close proximity to Washington D.C.
Baltimore, Maryland – Home of the Civil War Museum among other popular tourist attractions, this is a great location to learn more about the states pre and post Civil War and how the divided line changed American history. Rhode Island – The entirety of the state is tiny in itself, but the history of the state is huge It was in fact the first colony, and thus a feature point in American history. Plymouth, Massachusetts – This location of the Plymouth Rock is a great addition to any educational travel destination list as you learn about the founding of the United States. Lancaster, Pennsylvania – Perhaps the most famous Amish settlement in the nation, this area boasts the natural lifestyle and simplicity of the Amish, and a past time. 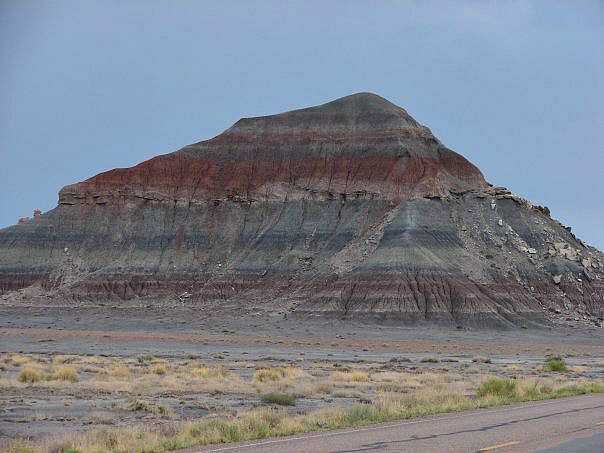 Petrified National Park, Arizona – Hike trails, look at painted desert and find pieces of petrified trees that will have you in awe. The Grand Canyon – Go camping, hiking or simply watch the Grand Canyon video in the visitors center and enjoy breathtaking views. Meteor Crater, Near Flagstaff, Northern Arizona – Visit the museum and take a guided tour of one of the most well known locations of a meteor hitting the Earth. Albuquerque, New Mexico – This is a great location to visit the Museum of Natural History and Science, learn about the cattle ranch movements and see some Native American monuments and old school missions still in place. 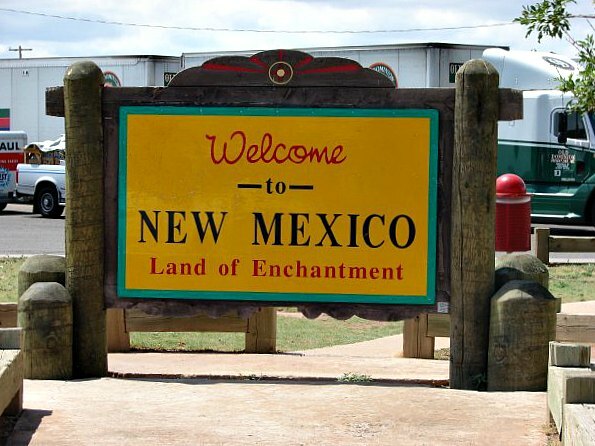 Carlsbad, New Mexico – Visit the caverns and learn about archaeological finds, rocks, minerals and the history of the desert. 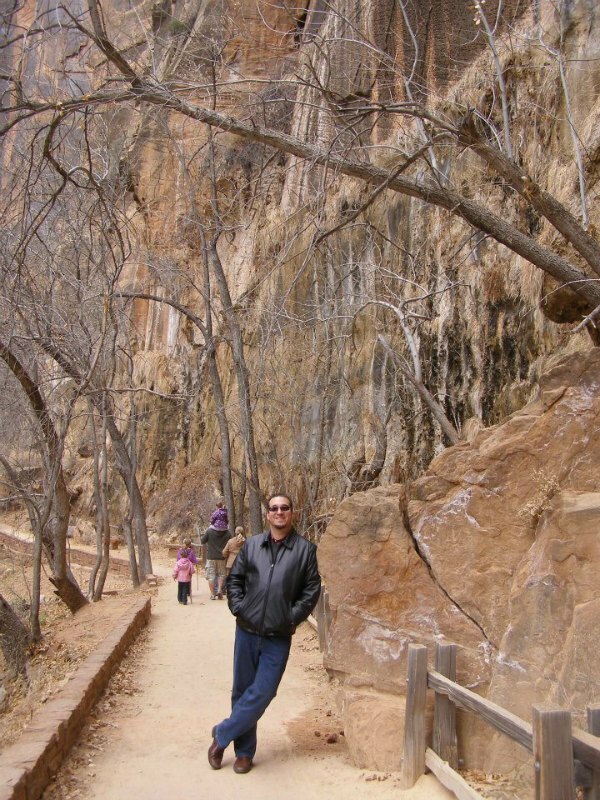 Los Alamos, New Mexico – This area is rich in history, hiking and educational desert fun. Colorado Springs, Colorado – This are is full of hiking trails, natural springs and tons of outdoor education for anyone willing to hit the trail and learn about their natural habitat. Durango, Colorado – Famous for the Durango & Silverton Narrow Gauge Railroad, this is a great place to visit and go for an old fashioned train ride while learning about the beautiful views near the Rocky Mountains. Rocky Mountain National Park – Beautiful views, hiking, camping and a mountain range unlike any other begins in Colorado and travels upward into Canada. Jefferson County, Colorado – Visit the Buffalo Bill Memorial Museum to learn more about this famous gangster that lives on in the history books today. Four Corners – Visit the Four Corners of Colorado, Utah, New Mexico and Arizona for a once in a lifetime chance to stand in four states at once. Salt Lake City, Utah – Head to the Olympic park; go to the Great Salt Lake; and check out the University of Utah. 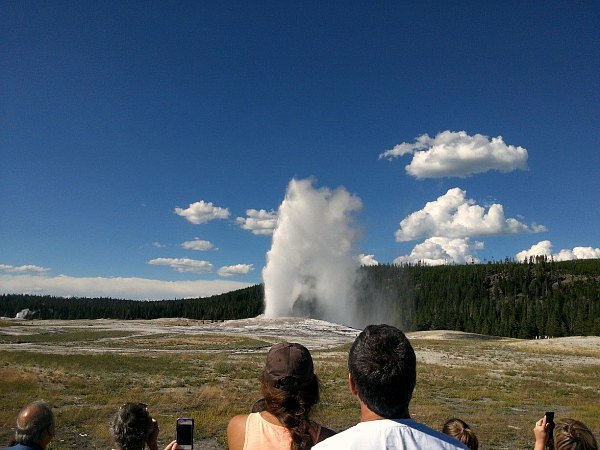 Yellowstone National Park – See numerous waterfalls and geysers with a visit to the Old Faithful geyser and visitor center giving you history on the discovery of the park. Omaha, Nebraska – This city is home of the Black History Museum along with many agricultural information centers. An unassuming city full of culture, history and education. Ashland, Nebraska – Visit the Strategic Air & Space Museum to learn more about the Air Force missions and their various classifications. Mount Rushmore, South Dakota – One of the greatest monuments to early presidents and a great tourist destination. De Smet, South Dakota – Th is the home of Laura Ingalls Wilder's books Little House On The Prairie. Blackhills of South Dakota – Go panning for gold, visit the area visitors centers and learn about what is commonly called Fool's Gold. Chimney Rock National Historic Site, Nebraska – Off the beaten path, this historic site may be familiar since it was featured in the movie Close Encounters of the Third Kind. Badlands, South Dakota – Beautiful desert like views with tons of great Native American history as you drive through this somewhat desolate part of the Dakota Territory. Faith, South Dakota – Dig for dinosaur remains in the dirt of this small town. Learn more about how to preserve fossils and properly dig when you think you've found a treasure. Fargo, North Dakota – Within driving distance of the Theodore Roosevelt National Park, Fort Abraham Lincoln and of course the Fargo Air Museum this is a great place to learn a bit more about late presidents, their impact on our nation and of course the rigorous winters of the upper Midwest region. 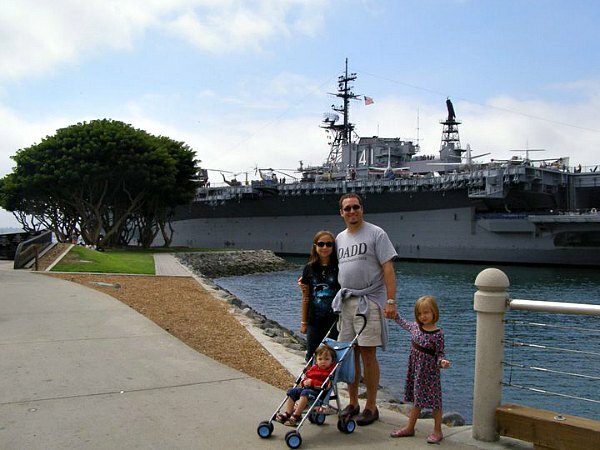 San Diego, California – Learn about military history on the USS Midway, a retired aircraft carrier. Take a whale and dolphin cruise to learn about these amazing sea creatures. Visit the world renowned San Diego Zoo and learn about animals. Even Sea World is great for learning! Los Angeles, California – The beginnings of the film and entertainment business thrived in this Southern California sprawling city. Visit museums, theaters and of course the nearby ocean. Joshua Tree National Forest – This is a fun national park with very unusual trees! It's hot though so go in the cooler months. Mauna Key Volcano, Hawaii – This is the highest point in Hawaii and a dormant volcano to visit, hike and learn from. Pearl Harbor, Hawaii – Head to Honolulu, Oahu to visit this museum and the last remaining pieces of ships that were destroyed in the invasion by Japan that began a whole new world of war. 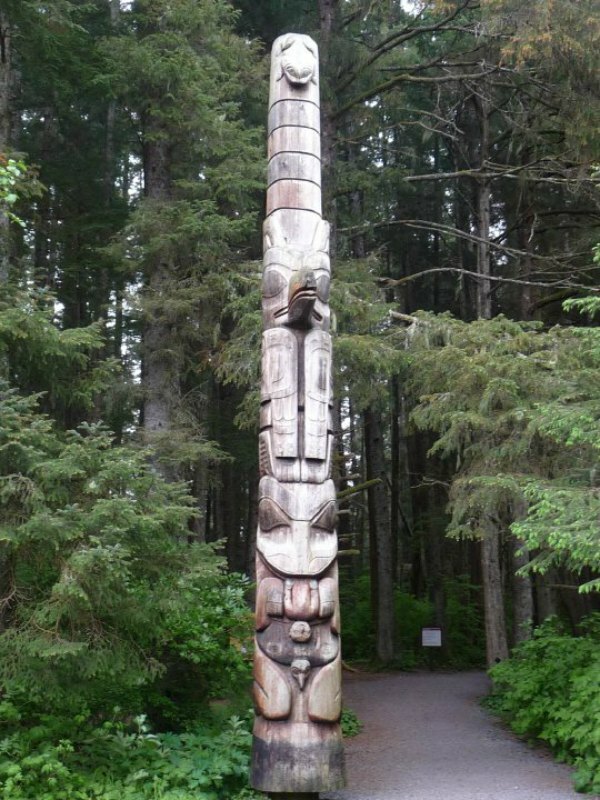 Juneau, Alaska – Learn about the native Inuit (Eskimo) traditions as well as visit the glaziers and mountains throughout to see the local wildlife. Multnomah Falls, Oregon – A short drive from Portland, these are some of the most breathtaking and well known waterfalls in the United States and right along the classic Oregon Trail. Mount Hood, Oregon – A great area to spend a week or weekend and explore the National Parks all around the area. Close to Portland, but far enough away to feel like an adventure. Seattle, Washington – From the close proximity to the coast, location of Mount Rainier and even Olympic National Park this is a great destination with education all around. 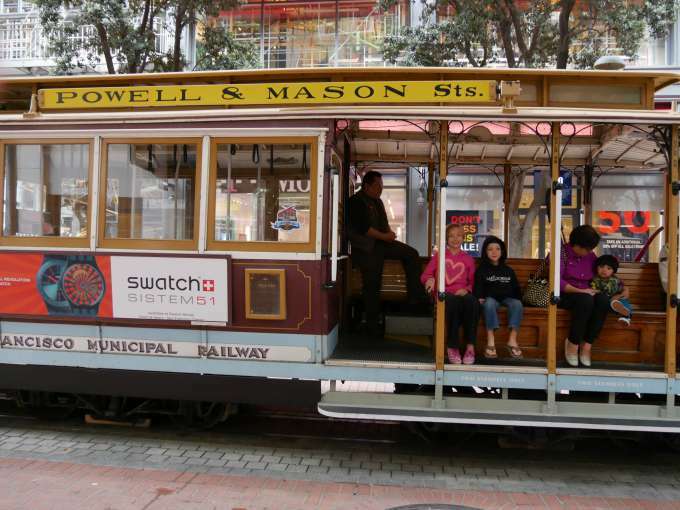 San Francisco, California– Visit the ports that brought immigrants, the infamous downtown area, the Golden Gate Bridge and even the world famous Alcatraz island that once held the most intimidating of criminals. San Jose, California – The Silicon Valley and San Jose as well as nearby Santa Clara are the home of many modern technology inventions and changes. Visit Google's head quarters, the Apple campus or park in front of the home where the Apple Computer was created. The National Computer Museum is a great place to see and learn the changes over the last 60 years of technology. 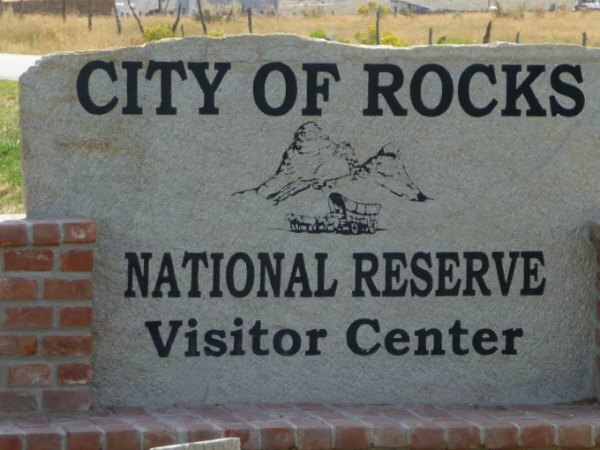 City of Rocks Reserve, Idaho – Learn about geology, the Old West, and take in the beautiful scenery. Missoula, Montana – With Fort Missoula being a home for settlers to stay safe from the supposed threat of Native Americans, this was one of the few destinations on a travel to the West Coast you could stop and feel secure. Glacier National Park, Montana – If you want to see beauty and learn a bit more about the exploration of the western states this is the destination for you. Clayton, Iowa – Visit Effigy Mounds National Monument to learn more about the Native Americans structures and effigy mounds shaped like animals. 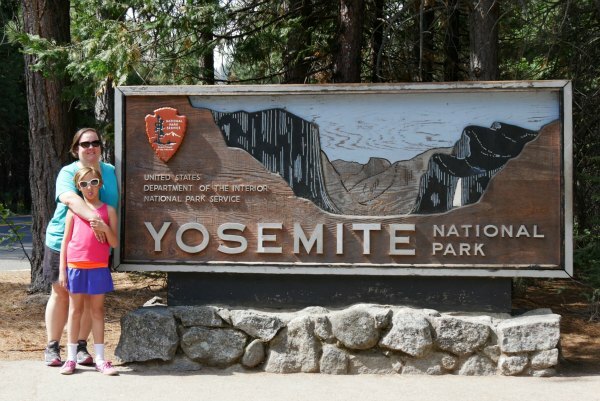 Yosemite National Park- We spent three days camping near Yosemite and it's a must see! Trees, granite glaciers and breathtaking views make this a must stop. Redwood State & National Park, California – Home of the largest Redwood trees this is a great vacation destination with an educational twist. Jackson Hole, Wyoming – Not just the close city to Yellowstone, but a city full of history and fun in itself. Criminals of the Wild West often came to this area to hide until the law passed by. Grand Teton National Park, Wyoming – This park and region offers spectacular views and a history rich in Native American lore. 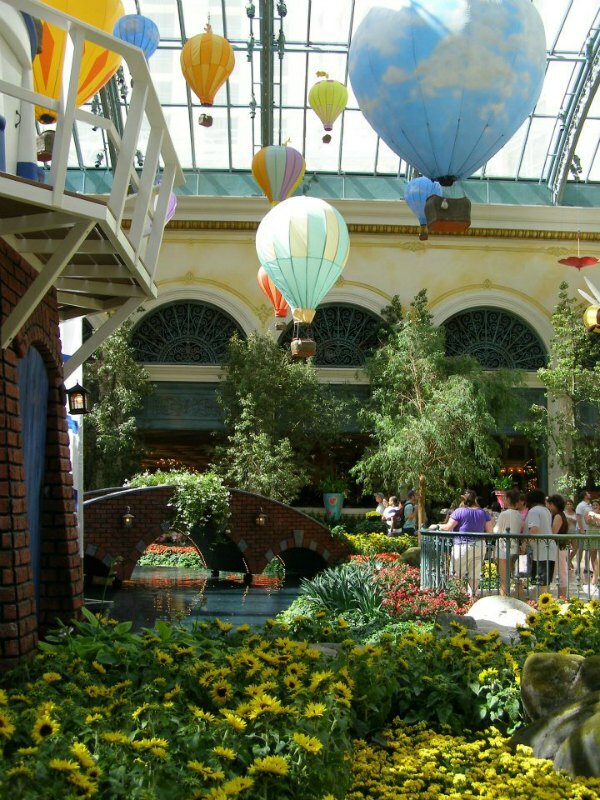 Las Vegas, Nevada – My current hometown, Las Vegas is not just for adults! Visit the Bellagio Fine Arts Museum; check out the nearby Hoover Dam; and learn about the history of this crazy town at the Mob Museum. 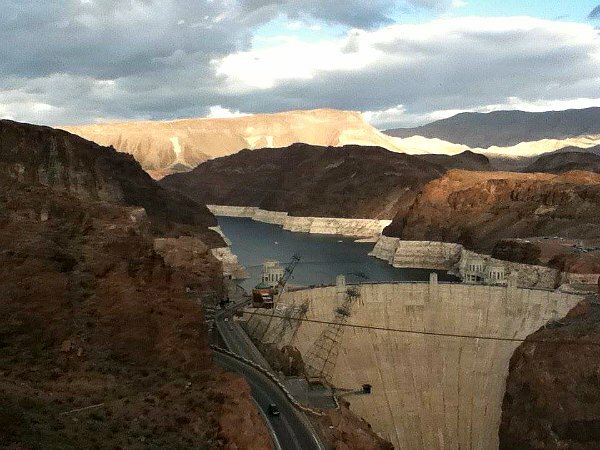 Hoover Dam – The Hoover Dam made way for water to enter the desert in a giant way. The dam itself has a great museum full of history and information about the creation and building it took to make it happen. Zion National Park, Utah – This park is a great place to really learn about the desert while hiking and camping with your family. These educational trips for kids and families are all unique in what you can learn and discover. With so many destinations to choose from, any budget will be able to afford an epic educational adventure.